The eye has never seen, nor the hand touched a dollar. For any currency to be viable, be it a decentralized cryptocurrency issued by a computer program or a traditional "fiat" currency issued by a government, it must win the trust of the community using it. For cryptocurrency advocates, as we'll learn in the chapters ahead, the whole point is to offer an alternative model for that trust. They tout a system of payments in which the payee no longer has to trust "third-party" institutions such as banks or governments to assure that the payer can deliver the agreed-upon funds. Instead, cryptocurrency systems imbue trust in an inviolable, decentralized computer program that is, in theory, incapable of defrauding people. None of this, however, gets cryptocurrencies off the hook. They, too, must win people's trust if they are to become relevant. Trust is at the core of any system of money. For it to work, people must feel confident that a currency will be held in the right esteem by others. So before we get into bitcoin's dramatic arrival on the scene and its bid to change the way we think about such things, we need to explore that notion of trust in more depth as it has evolved through history. This chapter will takes us on a journey through the evolution of money, one of society's most remarkable yet poorly understood inventions. Let's start with some basic questions. What is money? What does it represent? How did society come to develop such a system for exchanging goods and measuring their value? As is the case in any field of study, figuring out how something functions is often best approached by examining cases where the system hasn't worked. One contemporary example of failure is in Zimbabwe, whose defunct multibillion-denominated notes now sit on the desks of financial reporters and currency traders as reminders of how unhinged things can become with money. But the strongest lesson Western societies have learned comes from farther back: the 1920s Weimar Republic. The German government then, unwilling to court military conflict with its European neighbors but also reluctant to upset the public by raising taxes, instead printed money to cover its debts and sent the German mark into an uncontrollable downward spiral. As inflation soared beyond anything anyone could imagine, children would arrange stacks of worthless 50-million-mark notes into playhouses. The greatest caution from all this comes from the knowledge that this monetary and governmental chaos opened a door to Adolf Hitler. Germany was eventually converted into a functioning, generally peace-loving nation, showing that it's possible for democratic societies to restore order after a bout of financial and political chaos. The same goes for Brazil, which, through tough monetary-policy reforms, put the 30,000-plus percent inflation rates and the dictatorship of the 1980s behind it. But some places live with monetary dysfunction almost permanently, and for this they pay a formidable price. We learn from their experience that the core problem is not irresponsible policy decisions by money-printing central banks, though this is the mechanism through which hyperinflation is created. Rather, the problem stems from a deep-seated breakdown of trust between the people who use a currency and the monetary authority that issues it. Since those monetary authorities are ordinarily national governments, this breakdown reflects a society's flawed relationship with its government. It's an instructive way to think about what a cryptocurrency, with its "trustless," math-based system of monetary exchange, offers as an alternative. If citizens don't trust a government to represent their interests, they won't trust its currency—or better put, they won't trust the monetary system around which their economy is organized. So when given a chance, they will sell that currency and flee it for something they regard as more trustworthy, whether it's the U.S. dollar, gold, or some other safe haven. When this dysfunction is entrenched, such beliefs are self-fulfilling. The loss of value in its currency depletes the government's financial resources, which leaves money-printing as the only means to pay its debts and ensure political survival. Pretty soon, the excess money in circulation further undermines trust, which can give way to a vicious cycle of spiraling inflation and plummeting exchange rates. Argentina has lived with this broken relationship for a long time. A century of failure to resolve the trust problem explains why Argentina has been through many, many currency crises and why it has fallen from the world's seventh-richest country at start of the twentieth century to rank around eightieth in mid-2014. That puts Argentina, which for many years portrayed itself as a beacon of European sophistication in a continent of New World backwardness, more or less on par with Peru. My family and I spent six and a half happy years in Buenos Aires. Sunshine, steak, Malbec wine, all rounded out the experience. The best part was the friends we made, people who would give you bear hugs, who would always go out of their way to help you, and who thought nothing of taking a four-hour lunch to engage in intense conversation about the state of the world. But mine was a love-hate relationship with their country. For all of Argentines' passionate embrace of friends and family, their society is in permanent war with itself. This is manifest in the dog feces littering Buenos Aires' sidewalks, the graffiti defacing the city's once-beautiful Parisian architecture, and the interminable traffic jams caused by drivers' unwillingness to yield. The country's bitterly divided politicians espouse competing, outdated ideologies, but in truth their loyalty lies with a unifying, corrupt political machine installed by Juan Domingo Perón half a century ago. Peronism's system of Machiavellian power has trapped Argentine politics in a vicious cycle of shortsightedness and corruption, a failure that has left Argentines with zero faith in their governments. Skipping taxes is the norm—why, people reason, would you pay crooks who will steal your money? In this environment, self-interest constantly asserts itself, and the country's deep pool of natural resources is squandered. Bucketloads of money will be made in short multiyear bursts by those savvy enough to ride the pump-and-dump schemes that masquerade as policies, but that only means the economy rushes toward an oncoming cliff every ten years or so. I arrived in Argentina in early 2003, right when the last such crisis was barely subsiding. Banks, which were still keeping people's savings frozen in accounts that the government had forcibly converted from dollars to devalued pesos, had enclosed their downtown branches in steel plates to protect their windows from the barrages of bricks hurled by protesting depositors. When I left, in 2009, the next crisis was brewing. Inflation was pushing toward 30 percent a year, but the government was openly lying about it, an act of bad faith that only made Argentines mistrust their currency further and led businesses to hike prices preemptively in a self-reinforcing cycle. People were slowly withdrawing pesos from banks again, and the government was putting restrictions on purchases of foreign currencies, which, predictably, further undermined confidence in the national currency. This cat-and-mouse game, as Argentines knew too well, was destined to end badly. It also complicated our departure. A year after we left, we finally sold the lovely apartment we'd bought in the leafy Buenos Aires suburb of Palermo. But when I returned to the city to close the deal, it was now difficult to get our money out of the country. Residential property in Argentina has historically been sold in dollars—literally, physical greenbacks. History has made Argentines wary not only of their own currency but also untrusting of checks, money orders, and anything else that requires the provision of credit. Cold, hard dollar notes can cut through all that. That's what our buyers wanted. Reluctant to wire money to our U.S. bank account, they wanted to do things in that old, traditional way. They suggested we complete the deal at a casa de cambio in Buenos Aires' financial district, one of numerous exchange houses that help Argentines manage their complicated financial affairs. The casa would take our newly obtained cash and credit our U.S. bank account. Easy. What could possibly go wrong? With shiny lobbies, Victorian-style insignia, and names conveying integrity and security, these exchange houses can look similar to bank branches, but they operate outside the banking system. In addition to swapping dollars for pesos, they manage a network of accounts to shift money overseas at lower costs than bank wires. Now that the government was placing strict constraints on offshore bank wires, these places were in demand as convenient, extra-official money transmitters. I was uncomfortable with this seemingly shady option, but Miguel, my closest friend in Buenos Aires, told me that this casa de cambio handled his business weekly in fully legal transactions with his associates overseas. He trusted them fully and I trusted him. This was the way things worked in Argentina: you trusted whom you knew, and to resolve your business affairs you frequently leaned on those relationships more than you relied on the legal protection of a corrupt judicial system. To be certain, however, I had an initial meeting with the casa de cambio, in which I was assured that the overseas transfer would be fully verifiable and legal since we would have the real estate contract as backing documentation. Satisfied, I agreed to the buyers' plan. Days later, eight people gathered in one of the firm's sealed rooms to complete the closing: two staff members; the couple buying our apartment; one of their fathers, who was paying for it; an official escribano, or notary public, required by law to authenticate the settlement; Miguel; and I. A man entered carrying ten or so stacks of bills and gave them to me. I'd never had my hands on so much cash, but was still struck by how small $280,000 packed down to. It was counted by staff from the casa de cambio, after which the signing of the transfer papers began. Once the escribano had ascertained that all was aboveboard and fair, he and the father bid their farewell, and arrangement of the international transfer began. Suddenly, a staff member rushed in, hurriedly yelling, "You can't do it! This has to go through the banking system!" I looked at Miguel and it sank in. The staff had misunderstood a key documentation requirement under the ever-changing Argentine foreign-exchange laws. Or perhaps—the conspiratorial Argentine in me was now kicking in—we'd been set up. Why did this happen after the escribano had left and signed over the property? Either way, we were stuck. These were my options: I could gather up the money, our life savings, and take them across town-in what? A backpack? In my socks?—and hope the local bank branch at which I'd maintained a mostly inactive account to pay my electricity bills would happily accept a massive stack of dollars, convert them into pesos for a fee and at a confiscatory exchange rate, and then immediately convert them back into dollars for another fee and at another expensive exchange rate before wiring the money to my bank for a bigger fee. We were facing security risks and some $15,000 more in costs, assuming the plan would fly with the bank's compliance officers. Or, the casa de cambio offered, I could complete the deal with them but without the documentation I'd been promised. The institution would take my money, and an agent overseas would deposit the equivalent amount in our account—but I would receive no paper record of ever having handed over any money. I would have to trust—that word again—that twenty-four hours later I could call my bank and ascertain that the money was en route to my account, although it would take three days before the credit actually registered. I thought hard about it. Tens of thousands of Argentines did such transactions every day. To them, it was, ironically, a more trustworthy method of exchanging value than dealing with a banking system that had repeatedly robbed them of their savings. More important, Miguel, the man I trusted more than anyone else in Argentina, trusted this group of people to look after his accounts. He did so in a more transparent, aboveboard way than I was contemplating, but he dealt with them regularly. Indeed, the casa de cambio needed to maintain Miguel's trust. The confidence of their customers was the foundation of their business. On the other hand, I was unlikely to be a repeat customer. I reluctantly agreed to the unofficial transaction. All the exchange house could give me as a "record" was a cutoff piece of ticker tape from a basic, receipt-printing calculator that simply showed numbers in text: the total amount transferred, minus the fee, and nothing else. I misplaced it that very evening. The next day, Miguel and I returned to the casa de cambio to get a special code with which my bank could trace the payment. The gentleman we were supposed to meet wasn't there, or so we were told by the security guard looking after the heavily fortified entrance to the back offices. As my blood pressure spiked, I asked to see another staff member. The guard called him, then relayed his message: the money was already deposited in my account. I was incredulous. It was supposed to take three days. My heart raced. Were they lying? Had I been swindled? Nervous beyond belief, I went outside to the street and called an agent at my bank. The reply came back: "Yes, Mr. Casey, the money is in your account." Miguel and I bear-hugged. We tell this story because it illustrates the link between trust and money, which is in turn critical for understanding cryptocurrencies and the notion that they substitute trust in a government money-issuer with trust in a computerized algorithm. (In this sense, calling bitcoin "trustless" is inaccurate, even though it's a convenient descriptor all the time.) You need some kind of model of trust to run a monetary system. Bitcoin seeks to address this challenge by offering users a system of trust based not on human beings but on the inviolable laws of mathematics. Its own trust challenge lies in the fact that not many people are filled with confidence by the overall image of bitcoin—its sense of insecurity, its volatility. To many, too, math is kind of scary, as is the notion that computers, rather than human beings, are running things—though applying such concerns to bitcoin alone would betray an ignorance of how computerized our fiat-currency-based financial markets have become. In places such as Argentina, where confidence in political institutions is weak, the trust problem is resolved by elevating the trust that society holds in families, friends, and reputation-based relationships. Unfortunately, this is exceedingly inefficient. Such circles of trust are too small for any economy that has a complex network of economic interactions outside of small communities, let along one that purports to be integrated with the rest of the world. What's more, the system gets stretched to the breaking point when a crisis prompts everyone to rush for the exits and dump their untrustworthy pesos. Solving this problem is what cryptocurrencies purport to do. They are marketed as such because no government-run monetary system is perfect. Argentina might be an extreme case, but as the events of 2008 showed, every other nation's model is also vulnerable to breakdowns of trust. 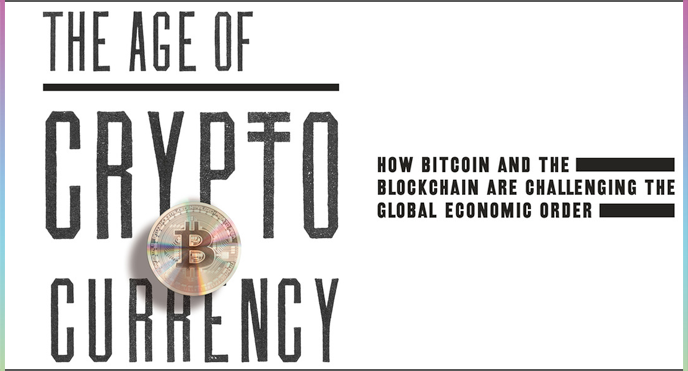 To comprehend why trust is so important to money, and before we delve into the workings and grand promise of cryptocurrency, let's take a trip through history and explore competing theories of money that have developed over the centuries. We hope that by its end you will have an idea of what money actually is. You'd think the answer to that would be simple by now, with people having used the stuff for millennia. But in reality, the practice of exchanging money lies so deep in the cultural evolution of society that we give it little thought. In his recent and provocative book, Money: The Unauthorized Biography, Felix Martin argues that to focus on money as a "thing"—the commodity, or "metallist," conception of money, which we will come to later—is to miss the powerful, civilization-building force that this invention unleashed. Calling money a "social technology," he declares that "currency is not itself money. Money is the system of credit accounts and their clearing that currency represents." Conceived this way, we see how money allowed for a new form of social organization beyond tribalism. It provided a universal value system, which meant that power structures in prehistoric tribal communities, where order was maintained through the threat of violence at the hands of whoever was the most brutally powerful, could give way to something that allowed all members of society, not just the physically powerful or connected, to thrive. Wealth as defined by the accumulation of this new, abstract measure of value would become the benchmark of power. It completely changed the rules of the game. Martin takes us to the Micronesian island of Yap to make his point. He describes a unique currency system that baffled early European visitors, consisting of stone wheels known as fei. These were quarried three hundred miles away and were as large as twelve feet in diameter. After an exchange, it was frequently too inconvenient to transport these giant limestone rocks to their new owner, so they were often left in the possession of the previous owner. Yet the mutual understanding throughout Yapese society was that ownership rights to these hefty symbols of wealth could pass from one person to another in a series of transactions, thereby providing a means of settling outstanding debts. Martin cites an account by the young American adventurer William Henry Furness III of how one fei sank into the ocean en route from Babelthuap but was still recognized as an exchangeable unit of currency for its new owner. The fei system shows how far society can come in creating abstract notions of value and power. This concept plays out to varying degrees as societies come to recognize the universal, if fictional, value of money and is incredibly powerful. So we see the arrival of money in ancient Greece and its groundbreaking system of democracy coinciding with a break from the society that preceded it, where the power structures were far more brutal and limiting. Money opened up the world, created possibilities. But as powerful as this communal act of accepting the abstraction has been to the development of civilization, it's a struggle for our individual minds, which prefer material explanations for how the world works and especially for understanding value. We see this now as an older generation that grew up with bricks-and-mortar stores and physical goods struggles to comprehend why someone would buy "virtual goods"—such as those sold in online games such as Second Life—much less pay for them with "virtual currency." We can intellectually have the "What is money?" discussion, but we have a hard time getting past this deep-seated notion of a dollar or a euro—or even a bitcoin—s being a thing of material value in its own right. Go ahead and remove a dollar bill from your wallet—or do the same with a euro or a pound or a yen—whatever you're carrying (assuming you still carry cash). Take a good hard look at it. Now, ask yourself, what's it worth? Your first answer, no doubt, would be something like "Duh, one dollar." But ask yourself again. What's it really worth? What intrinsic value does that thing in your hand, that 2.61-inch-by-6.14-inch piece of paper, hold? Well, you could write on it if you so desired, turning it into a note-keeping device, albeit one extremely less efficient than a perfectly good notepad. Drug users have found it to be a useful tool for snorting cocaine, though that's possibly more of a "because you can" statement than a reflection of the dollar bill's special utility for this purpose. The point is, as a material object little is unique about a dollar, or about any country's banknote. It's not a table or a hammer or a car or a source of food, or even a service rendered such as a haircut or a taxi ride. To some extent, this piece of paper is similar to those other pieces of paper that play an important role in our society: written contracts. Contracts are not valuable for the material they are written on, but because a court will recognize the words contained on them as evidence of an enforceable agreement. They are proof of a deal between two parties and afford each party an optional claim on our legal system to get the other one to abide by its terms. But what exactly is the contractual agreement conveyed by a dollar? Sitting there in your hand, it contains a rather obscure promise, an affirmation from the U.S. government that it owes you the value of that dollar. Uncle Sam promises to accept those IOUs and net them off against the debts that you in turn owe him—your tax bill, fees, fines, etc.—but for all the excess dollars after that, your take-home pay, he's never going to make good on that debt. When you think about it, how could he? In a strict legal sense, a dollar constitutes a claim on the banking system and, by extension, on the U.S. Federal Reserve, which establishes the rights of all future holders of that banknote when it first issues it to a bank. The bank and the Fed are obligated to recognize your claim according to the value it purports to represent. Put simply, if you deposit a dollar note in your account, the bank acknowledges that it owes you that dollar. But this really doesn't resolve the problem of what gives the dollar its value. In a practical sense, its value depends entirely upon everyone else consensually recognizing that your dollar can be redeemed for an agreed-upon measure of goods and services. If that consensus were to disappear, your dollar's value would fall away very quickly, as Argentines know from the frequent phases of hyperinflation they have endured. By this measure, a dollar's value does not reside in the fact that a bank acknowledges a liability to you or that the bank registers a claim on it with the Fed; rather, it hinges on society's willingness to accept it in settlement of a debt. This consensus measure of value is very different from saying the dollar note has any intrinsic value. Here the gold bugs, as the finance world affectionately calls advocates of gold-based monetary systems, step up to the plate, promising to solve our intrinsic-value problem. Gold, they say, is real currency, for it is hard, tangible, durable, and intrinsically valuable. Under their beloved gold standard, you could indeed take your dollar to the U.S. government and insist that it make good on a debt to you, by demanding the return of the same value in gold. But that raises another question: What is a bar of gold truly worth? What indeed is its intrinsic value? The gold bugs point to myriad uses for this highly durable, fully fungible metal. Its properties are impressive: It is both malleable and enduring. It can be melted down and re-formed but never loses any of its luster. Its electrical conductivity is used in circuit boards, while dental implants have drawn on its strength and resistance to tarnishing. But let's be clear: these uses are not why we assign value to gold. Indeed, they account for only a tiny portion of its supply. No, the assigned value has much more to do with its perceived beauty, exemplified by its traditional use in jewelry, in architecture, and in housewares. Here, though, we still end up in a circular argument about gold's value: it's hard to distinguish our innate appreciation for gold's beauty—as we might appreciate a flower, for example—from our idea that a gold ornament conveys value, that it signifies wealth, prosperity, and prestige. Gold is scarce. It's been said that all the gold mined throughout history would fill up only two Olympic-size swimming pools. But scarcity is relative, and relevant only if there is demand. Countless material objects could be deemed scarce, but they don't have value because they are not in demand. All that matters is that people want gold. But why? We're going around in circles. The only conclusion we can reach is tautological: gold is valuable as a currency or investment because we believe it is valuable (which is the same reason for valuing money itself). Gold's value as currency is an abstract social construct. Yet—that value itself is real. It has a real impact on the world. Through history, blood has been spilled, lands have been conquered, and nations have been built and destroyed in the pursuit of this shiny material thing. All of that illustrious and at times ugly history stems from the fact that societies from very early on recognized gold as an excellent, practical currency and store of value, one that fulfilled a host of key qualities needed for that monetary purpose: it was scarce, durable, divisible, portable, easily verified, and fungible—i.e., its qualities did not change from unit to unit, such that one store of gold was substitutable for another of the exact same weight. Those qualities led societies everywhere to collectively agree that gold would be acceptable as currency. It's that agreement that gives it its value. Once again, though, this does not mean gold has intrinsic value. The centuries-long debate over the nature of money can be reduced to two sides. One school sees money as merely a commodity, a preexisting thing, with its own inherent value. This group believes that societies chose certain commodities to become mutually recognized units of exchange in order to overcome the cumbersome business of barter. Exchanging sheep for bread was imprecise, so in our agrarian past traders agreed that a certain commodity, be it shells or rocks or gold, could be a stand-in for everything else. This "metallism" viewpoint, as it is known, encourages the notion that a currency should itself be, or at least be backed by, some tangible material. This orthodox view of currency is embraced by many gold bugs and hard-money advocates from the so-called Austrian school of economics, a group that has enjoyed a renaissance in the wake of the financial crisis with its critiques of expansionist central-bank policies and inflationary fiat currencies. They blame the asset bubble that led to the crisis on reckless monetary expansion by unfettered central banks. The other side of the argument belongs to the "chartalist" school, a group that looks past the thing of currency and focuses instead on the credit and trust relationships between the individual and society at large that currency embodies. This view, the one we subscribe to and which informs our understanding of cryptocurrencies, recognizes the presence of an implicit, societywide agreement that allows monetary exchange to perpetuate and debt and credit to be issued and cleared. This negotiated solution, a project that's inherently political, is money. It's not the currency. The currency is merely the token or symbol around which this complex system is arranged. (Chartalist comes from the Latin charta, which means "token.") This conception of money has naturally attracted economists who believe policymakers have a role to play in managing the economy for the betterment of society, a group most prominently represented by apostles of John Maynard Keynes. Yet it is also ingrained into the rigid structure of any cryptocurrency monetary system, one that allows no room for Keynesian interventionists yet depends just as much on a collective agreement that the digital currency can be accepted in the settlement of debts. 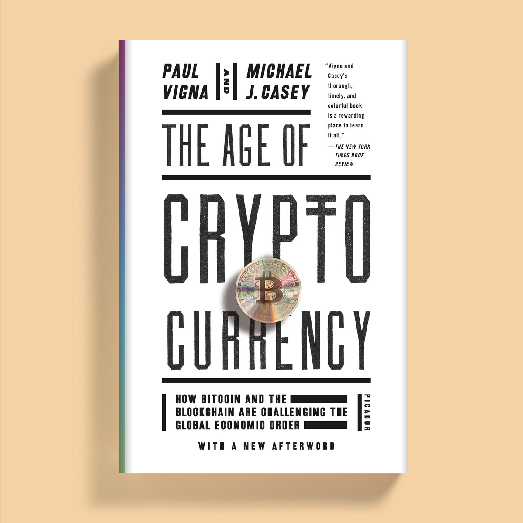 This philosophical division sustains a core debate over cryptocurrencies and how or whether to regulate them. The rise of bitcoin has attracted many with the metallist mind-set, a group led by libertarians and anarcho-capitalists, who want government to get its greedy mitts out of the money supply. Overlooking the intangible nature of bitcoin, they've treated the digital currency as a scarce commodity, a thing to be "mined" and stored, a thing whose mathematically proven finite supply ensures that its value will rise and outstrip that of unlimited fiat currencies such as the dollar. Yet many other cryptocurrency believers, including a cross section of techies and businessmen who see a chance to disrupt the bank-centric payments system, are de facto chartalists. They describe bitcoin not as a currency but as a payments protocol. They are less concerned about its appeal as an intrinsically valuable thing and more with the underlying computer network's capacity to rearrange the rules of trust around which society manages exchanges of value. They see money as a system for settling and recording debt obligations. These distinctions will prove important as we examine in later chapters the future for cryptocurrencies, but for now let's take a step back into the millennia-old past and trace the events that brought us to this point. When did money begin? The answer to that question depends on which camp you belong to. Discussing the history of money almost inevitably veers toward a discussion of the historicity of money because it's impossible to describe its evolution without also describing how it has been conceived. On that basis, the metallism crowd views the beginnings of money through the eyes of Aristotle, who wrote, "When the inhabitants of one country became more dependent on those of another and they imported what they needed, and exported what they had too much of, money necessarily came into use." This view, that once trade became so complex that barter would no longer cut it, was resurrected two millennia later by Adam Smith in The Wealth of Nations. Smith described the New World communities of Peru and elsewhere as burdened by barter until the genius of European coinage was introduced. Smith's view was critical to the conventional wisdom that we've sequenced from barter to money to debt. He argued that as human beings divided labor according to their talents, they produced surplus goods to trade but were trapped by the failure to meet what economists call a "coincidence of wants." In other words, there was no guarantee that the next guy wanted to swap his sheep for all the arrowheads you needed to off-load. So, an easily exchangeable, clearly distinguished commodity was chosen to function as the agreed-upon standard to facilitate exchange. This commodity became money, and by this thinking it was a thing in its own right, carrying an intrinsic value. Once we thrust it into this role, money opened the doors to all other tools for exchanging value, including the creation of debt. If you're a chartalist, your historical starting point is very different. First, you dismiss the barter story as myth. You draw on the writings of dozens of twentieth-century anthropologists who have visited places where currencies weren't used; anthropologists who claim to have found no evidence that these peoples ever engaged in barter, at least not as the primary system of exchange. Instead, these societies came up with elaborate codes of behavior for sorting out their various debts and obligations. Debt, in other words, came first. The anthropologist David Graeber hypothesizes that specific debt agreements likely evolved out of gift exchanges, which generated the sense of owing a favor. After that, codified value systems may have emerged from the penalties that tribes meted out for various wrongdoings: twenty goats, say, for killing someone's brother. From there human beings started to think about money as a system for resolving, offsetting, and clearing those debts across society. Given this wide divide in their worldviews, the metallists and the chartalists ascribe very different motivations to the prominent role played by the state in the minting of currency through the ages. To the metallists, governments simply played an endorsement role, authenticating the quality and quantity of metal in each coin. But to the chartalists, the state evolved to become the ultimate clearinghouse for debts and credits through its monopoly power over taxes, which could only be paid in the coin of the realm. Regardless of where loyalties lie across this divide, most agree that the first recorded monetary system appeared in Mesopotamia, modern-day Iraq, around 3000 B.C., when the Babylonians began using silver and barley as universal mediums of exchange and units of value. It coincided with development of the Code of Hammurabi, one of the oldest surviving pieces of writing and the first example of a ruler setting down laws, also in Mesopotamia. That code included a set of payment rules by which debts could be settled with either silver or barley. Based on those instructions, early-day Mesopotamian accountants would keep records of transactions in society, doing so via specialized indents in clay tablets. Their record-keeping employed a relatively easily understood cuneiform style that supplanted hieroglyphics, an ancient writing system that had been limited to royalty and high priests. Over time, people's standing in society would become defined by a monetary measure of their ability to obtain items of value, more so than by a record of their capacity to inflict suffering. Money, then, made human settlements less vulnerable to bloodletting and chaos. As the world became more orderly, it was also more conducive to trade. From there developed the great ancient civilizations: Mesopotamia, Greece, and, most successfully, Rome. The rise and fall of these civilizations coincided with money, and whether one fueled the other or vice versa is impossible to disentangle. The Roman Empire's vast reach was synonymous with its coins being legal tender across huge swaths of Europe and the Middle East. The political instability that ultimately weakened it and led to its collapse was in part generated by the deterioration of that currency's purchasing power, as Rome succumbed to repeated bouts of raging inflation, worsened by Emperor Diocletian's flawed attempts at price controls. After Rome's fall, the Dark Ages descended on Europe and the continent lost its feel for money. Some fitful efforts to revive the practice didn't find traction until the Renaissance. As the historian Niall Ferguson reminds us, the return of money at that time and the related invention of banking by the Medici families of Florence financed an explosion in world trade and helped pay for the architectural and artistic revival of the era. This put Europe on track to the modern era, in which money and finance have long been at its center. For most of its history, currency has been issued by those who rule, be they kings or democratically elected governments. Consistently, those rulers have stamped their authority-both figuratively and literally-on their currency, reminding citizens of the deep connection between money and power. Staters, the gold-and-silver-alloy coins thought to be the first minted currency, from the kingdom of Lydia in what is now western Turkey, are notable for bearing a lion's head. This insignia makes King Alyattes, presumed to be the sovereign behind these coins, likely the author of a millennia-long association between artwork and currency—a practice that has lent these otherwise impractical, inanimate objects great power, significance, and perceived value. Look at your dollar bill again. Note on its face side the ornate borders and leafage running along the edge and enclosing George Washington's head, as well as the seals of the issuing regional Federal Reserve Bank and the U.S. Treasury Department. See on the reverse the even more elaborate border designs engulfing the words ONE and In God We Trust, along with the two sides of the great seal of the U.S. government, the outstretched eagle on the right and the Eye of Providence perched above a pyramid on the left. This baroque intricacy is difficult to replicate and so helps keep counterfeiters at bay, as do embedded fibers, watermarks, and metallic strips. But just as important, the compelling imagery is simply impressive. It's filled with semiotic noise that denotes authority and order. Artistic imagery on currency helps us engage in the metallist fiction that a money token has intrinsic value. Yet neither can we escape the symbolism of state power associated with it. Countless monarchs after King Alyattes used similarly dramatic symbols to put their stamp on coinage. It gave the coin authenticity but also functioned as a kind of royal branding, an advertisement of the omnipresence of the realm. We are reminded that money and power are inseparable. The sovereign's capacity to issue money afforded one specific benefit: the creation of seigniorage, the ability to profit directly from the issuance of currency. These days, seigniorage arises because of the interest-free loan that a government obtains by printing money on comparatively worthless pieces of paper. But when currencies were associated with particular weights of precious metals, monarchs exploited this power through more overt methods. Many would "clip" gold or silver coins to melt down and redeem the value of the shavings. Before coins were assigned specific numerical values, rulers would "cry down" the arbitrarily assigned value of a specific coin—by declaring that it could now buy less of a certain useful commodity or contribute less than previously to the settlement of a tax bill. In effect, the monarch was recanting on a promise to honor IOUs at a certain rate and so got to write off his or her debts in accordance with the size of the cry-down. By the same token, the crown's subjects were forced to come up with more money to meet their debts. Needless to say, this irritated the moneyed classes—the nobles and aristocrats, and later the bourgeoisie, for whom the periodic, arbitrary depreciations could amount to significant reductions in wealth. As their resistance to this abuse of power grew, it gave rise to some of the great liberal ideas upon which modern democracy is based, ideas behind the founding of America and the French Revolution. Now, this same spirit of resistance is found among bitcoin evangelists. Well before the medieval European monarchs even had coins to tinker with, Chinese emperors were taking money into its next phase of technological development. In the ninth century A.D., when regions such as Szechuan experienced shortages of the bronze they'd used for coins, government officials began experimenting with letters of credit that functioned as a form of paper money. Then, in 1023, the Song dynasty issued full-blown sovereign-issued paper money across the kingdom. Centuries earlier, China had already staked out the intellectual position that money was a part of the "machinery" of government, as imperial scholars put it. They described it as a means "to preserve wealth and goods and thereby regulate the productive activities of the people, whereupon they brought peace and order to the Subcelestial Realm." This is diametrically opposed to the metallists' commodity view of money. But it's not far from the modern central bankers' approach to money-supply management. The difference is that the Chinese rulers' responsibility came not from legislation but by a moral code made possible by the Confucian view of the emperor as the benevolent apex of a coherent "Middle Kingdom" society. Today, China grapples with competition to its sovereign currency, the yuan, due both to its citizens' demand for foreign national currencies such as the dollar and to a fledgling but potentially important threat from private, digital currencies such as bitcoin. As it navigates these shifts and exerts itself on the world economic stage, the country's leaders still appear constrained by this ancient concept of state-run money, which in modern societies has ceased to sound so enlightened. In Europe, the struggle between the private and the public sectors for control over money has a much deeper history. While many complained about the sovereign's constant debasement of the currency, some developed work—arounds that created de facto private money. The most impressive of these was the écu de marc, a form of currency developed and used by the merchant bankers who emerged out of the Italian Renaissance and which allowed them to expand their business internationally. Based on an exchange rate jointly agreed upon by the merchants, the écu de marc allowed the exchange of bills of trade from different banks in different countries. The sovereigns in each land kept tight control over their currencies, but this banking class was developing its own international exchanges through the wonder of credit creation. The bills financed shipments—say of shoes made in Venice to an importer in Bruges—that enriched the manufacturer, but the real profit spinner lay in trading the paper, a lesson that would be passed down through generations of bankers to the present day. For the first time, a private-sector community had come up with a de facto money-creation machine. This direct threat to the sovereignty of monarchs gave rise to a political clash as the kings and queens of Europe feared that their monopoly powers were being eroded. But the bankers didn't want political power per se. They were pragmatic businessmen, as they would prove to be for centuries afterward. They would use the leverage of private money to strike deals with governments, sometimes as a threat but mostly to wheel and deal their way to more wealth. This negotiation between the sovereign and these new private generators of money would find its ultimate expression in the royal charter that founded the Bank of England in 1694. The BOE, as bond traders in London's City now call it, was formed at the behest of King William III, who wanted to build a world-class navy to take on France, then the dominant power on the high seas. The privately owned bank—the BOE was not nationalized until after the Second World War—would lend the Crown £1.2 million, a massive sum for its time, and could then issue banknotes against that debt, effectively relending the money. Then, to give the banknotes value as a de facto currency, the sovereign agreed to accept them in payment of taxes. In one fell swoop, the agreement created a form of paper money effectively endorsed by the sovereign, established fractional-reserve banking—a guiding principle of modern banking that allows regulated banks to relend most of the money they take in as deposits—and conceived the idea of a central bank. The Bank of England had, in effect, been given a license to print money. This was the dawn of modern banking, and it had a profound impact on England's economy. The new financial architecture not only helped the kingdom develop a top-class naval fleet with which it would rule the world from pole to pole, but also financed the industrial revolution. Bank credit effectively became money, since it was deemed to be backed by the sovereign. This new definition of money has prevailed ever since. Eventually the new British system extended to the point where ordinary citizens had checking accounts and companies could draw upon all manner of bank-based credit instruments to finance everything from day-to-day operations to large-scale projects. With the banks now able to lend their good names to a borrower as guarantors, these instruments became tradable, which quickly gave rise to a bond market. This financial leap gave an exponential boost to liquidity in the economy, but also to risk. While it created prospects for entrepreneurship and capital creation never before imagined, it also gave rise to what we now refer to as systemic risk. Losses in one institution could ripple out and destabilize many others through the interconnections of the financial system. It made that system vulnerable to swings in that all-important social commodity: trust. The ever-expanding web of interlinking credit relationships meant that textile mills could finance their expansion and, later, steam engines could be built, but not every textile mill made money and not every businessman was good for his debts. While debt defaults and bankruptcies in isolation were a normal part of risk-taking, once the financial system became so interconnected, they could have domino effects. If a lender began to worry that a large debtor might not meet its payments, that lender might withhold funds from other borrowers, who would now face financing troubles, breeding even wider concerns. Thus flimsy public trust could break down. When it evaporated, credit could suddenly dry up, leaving perfectly good debtors unable to make good on their loans, which would in turn make their creditors' finances shaky, further depleting the public pool of trust. This is how financial crises were made. Money had been liberated but it had also become more dangerous. This financial instability gave rise to fierce debates over how to control it, and over how to define the very nature of money. The debates would continue over time and would shape our modern monetary and financial systems. It all came down to different views on how best to protect trust in the monetary system. On one side sat the believers in gold. Based on the ideas of liberal thinkers such as the great English philosopher John Locke, the gold standard was promulgated in the late-seventeenth century. People felt it was necessary to tie money to this tangible thing to prevent governments and their new partners in a profiteering banking sector from destroying the public's money. The model succeeded in keeping inflation down, which helped protect the savings of the wealthy. However, the monetary constraints and the elevated value of gold typically also led people to hoard money in crises, which shut down credit growth, generated bankruptcies, and led to unemployment. At such times, the biggest victims were inevitably the poor. As financial systems lurched from crisis to crisis, a competing conception of what constituted the money supply and of what made it grow or contract emerged. It focused not on how to constrain the ability of a government to issue currency, but on how to manage banks in their unique role as creators of private, credit-fueled money. Spearheaded by Walter Bagehot, the nineteenth-century editor of The Economist, this thinking led to the development of modern central banking. Backed by sovereigns that could never go bankrupt, central banks such as the Bank of England were to be the "lender of last resort" to overcome crises of confidence. They would agree to freely lend to solvent banks if their access to liquidity dried up in periods of financial stress. Although Bagehot's rule was that such loans would carry a penalty interest rate and were to be secured with good collateral, the commitment turned central banks into a critical backstop to help overcome financial panics. The gold standard still existed, but this expansive new role for central banks alarmed its advocates, who had an aversion to unfettered banking power and freewheeling debt. Such concerns rang strong in the United States and made it slow to enter the central-banking game. The country went through a century and a half of changing currency regimes—sometimes centrally issued, other times with multiple, competing currencies circulating under issuance from commercial banks under various state and federal arrangements. Eventually the dollar became dominant, but not until a series of severe financial panics in the late nineteenth and early twentieth centuries did Americans decide they needed a central bank; the Federal Reserve was founded in 1913. A hundred years later, the Fed is still a source of controversy and derision from some quarters, blamed by its detractors for creating asset bubbles and inflation, but applauded by its supporters, who claim, for example, that without its massive interventions the crisis of 2008-9 would have been much worse. Clearly, the Fed's record in keeping the financial system on the straight and narrow is far from perfect. Exhibit A: the Great Depression. Exhibit B: Lehman Brothers. Still, the twentieth century has also shown the dangers of constraining central-bank discretion. During the Depression, the gold standard tied the Fed's hands at the worst moment by limiting its ability to create new money and offset a deep-frozen banking sector's aversion to issuing loans. This exacerbated the downturn. Eventually, the gold peg was abandoned, freeing central banks of that straitjacket and helping to restore liquidity to a financially starved global economy. After World War II, governments again professed a longing for a firm monetary anchor and, in particular, a central pole of stability for a distressed international economy. Britain—led by the economist John Maynard Keynes—wanted an internationally based solution to be run by the newly created International Monetary Fund. But in the end, the United States, as the only major power not devastated by war and with its currency now globally dominant, called the shots. The U.S. dollar became the central pole around which the global economy would function. It remains so today. The pact signed at the Bretton Woods Conference in 1944 repegged the dollar to gold and then got the rest of the world to peg their currencies to the dollar. Foreign governments holding reserves in dollars were given the right to redeem them in gold at a fixed rate. It worked as a financial stabilizer for two and half decades, but by the late 1960s the system's own constraints—in this case imposed directly on the Fed—made it unsustainable. America, hobbled by the cost of the Vietnam War and unable to compete with cheaper foreign producers, couldn't bring in enough foreign currency with which to restock its gold reserves and so started to run out of them as countries such as France demanded that their dollars be redeemed for the precious metal. Feeling trapped, President Richard Nixon took the stunning step on August 15, 1971, of taking the dollar off the gold peg. He did so with an executive order that was designed in consultation with just a handful of staffers from the Treasury, the Fed, and the White House. The "Nixon Shock" rendered the Bretton Woods agreement pointless. By 1973, once every country had taken its currency off the dollar peg, the pact was dead, a radical change. Governments could now decide how big or small their country's money supply should be. Finally, it seemed, the chartalists' moment had come. In this new age of fiat currencies, trust in money would become a relative and fluctuating thing: Do you trust the dollar more than the pound, or vice versa? Nixon's audacious move had one desired effect: it drove down the dollar's exchange rate and sparked a revival in U.S. exports. It also created huge new opportunities for Wall Street to develop foreign-exchange trading. Now that the dollar was no longer pegged to gold, banks could take their credit-creation business global, setting the stage for the globalization of the world economy. It also paved the way to the multinational megabanks that would become too big to fail ... and all the problems these would create. The happy experience of American manufacturing's post-1971 revival was quickly marred by a new, entirely predictable scourge. Coupled with the oil blockade imposed by petroleum-exporting nations in 1973, the weaker and unhinged dollar immediately generated inflation; as the value of the world's most important currency sank, the price of all the goods and services it bought rose. (It's always useful, we feel, to remember that prices are two-way concepts; there's the value of a good in dollar terms, but there's also the value of a dollar in terms of how much of a good it can buy. When the value of one falls, the other by definition must rise. That's the essence of inflation.) This time the inflationary outbreak was accompanied by high unemployment, confounding economists and adding a new, ugly word to their lexicon: stagflation. Raging prices continued through the 1970s, paving the way for a new financial hero: six-foot-seven Paul Volcker. The feisty chairman of the Federal Reserve vowed to break the back of inflation even if it meant driving the economy back into recession, and with a series of painful interest-rate hikes that's exactly what he did. Memories of that period, where inflation drastically eroded the value of the dollars in people's pockets and then forced them into a painful economic contraction, are still so strong among a certain generation that they feed the appeal of scarce, independent "currencies" such as gold and, as we shall see, bitcoin. After Volcker's tough love, things improved enormously, at least for a time. A period known as the Great Moderation set in for industrialized countries, with low, predictable inflation and steady growth marred only by the occasional, short-lived recession. Europe embarked on a truly bold new experiment to create a currency union, one that for the first ten years of its existence seemed to be a rip-roaring success, as the euro miraculously conveyed Germany's sound credit rating to once backwater countries such as Ireland and Spain, which enjoyed a tremendous influx of capital and an unprecedented housing boom. Emerging markets such as Brazil, Russia, and Indonesia took in a flood of investment, albeit tinged with periodic crises. This was the brave new world of fiat-currency global finance. But, as we now know, it contained within it a destructive flaw. On Wall Street, new technologies and a mantra of deregulation encouraged by the free market's apparent victory over communism pushed a financial-engineering machine into overdrive. Here the gremlins were being hatched. All looked good on the macro front—inflation was low, growth was solid—but economists were focused on the wrong things. The real buildup of risks didn't appear in the mainstream economic numbers. Heck, the risks weren't even in the routine banking system of deposits and residential and commercial loans. They were hiding in an obscure and hard-to-comprehend realm known as the shadow banking system. There, as we now know, weirdly bundled pools of mortgages and credit-derivative contracts, all with a nominal value in the hundreds of trillions of dollars, left hedge funds, banks, pension funds, and other institutions on the hook to each other in a complex, intertwined network that no one could ever hope to comprehend. As if learning from the Renaissance merchant bankers, Wall Street had again found an effective way to take sovereign money and multiply it many times over through a form of private money built on debt. But it was happening in an area that was far more thinly regulated than the traditional banking system. When it finally dawned on people how important this shadow system was, it was too late. With the collapse of Lehman Brothers, this fragile edifice came tumbling down. The Great Moderation had carried a curse. Not only did it foster a false sense of security, but also it caused us to forget our responsibilities as a society to use our political process to change unwelcome economic circumstances. Everyone from voters to Wall Street traders to congressmen to the president wanted to believe the financial system could be left in the hands of the Fed. The highly respected Paul Volcker gave way to the "maestro," Alan Greenspan, who was equally revered, until he wasn't. In 1999, we turned a blind eye to the repeal of the Glass-Steagall Act, which had barred the merging of commercial and investment banks ever since the Depression, and so blessed the emerging banking behemoths to hijack every lever of power. When the system blew up in their faces, they pulled their last lever: taxpayer-funded bailouts. Six years on, we are still a long way from fixing this system. Wall Street's lobbyists continue to finance a huge part of Congress's political campaign needs, giving them undue influence over reform. In part that's because we are still letting central bankers do our dirty work, allowing the drug of easy money to keep things afloat while Washington locks itself in acrimonious, self-interested gridlock. The Fed's zero-interest-rate policies and more than $3 trillion in bond-buying, along with similar actions from its counterparts in Europe and Japan, have forestalled disaster. But little has been done to resolve the long-term fiscal imbalances in the United States or to restructure a financial system dominated by the same TBTF (too big to fail) banks. The structural flaws of the European monetary system, with its untenable split between its political and monetary functions, are still firmly in place even after having been exposed when Greece, Ireland, Portugal, Spain, and then Italy all plunged into crisis from 2010 on. Meanwhile, in an entirely globalized economy in which the dollar is the currency of the world, not merely that of the United States, the limitations of a monetary policy dictated by domestic political imperatives have also been exposed. So much of the money created by the Fed's relentless bond-buying, all of it intended to boost the U.S. economy, simply escaped overseas to create unwelcome bubbles in developing countries' housing markets and to fuel tensions over what some described as a "currency war." All might appear calm, as it did at the time of this writing, but make no mistake: our global monetary system still has serious problems. The history of money reveals a central challenge: how to design a system that most effectively facilitates the exchange of goods and services and generates prosperity while preventing the institutions that manage that system from abusing the trust that comes with that role. Whether bitcoin or other cryptocurrencies represent a viable solution to this challenge remains to be seen. The first step will be for them to be accepted widely as viable money; that is, to become trusted themselves as a means of expanding exchange and prosperity. One familiar benchmark says that for a currency to become money it must function as a medium of exchange, a unit of account, and a store of value. Dollars can be used to buy things all around the world; they are used to measure the value of pretty much anything; and most, if not all, people believe their savings will be more or less protected over time if they are denominated in dollars. While bitcoin is currently used as a medium of exchange by various people to buy and sell things, few use it as a unit of account. Merchants that accept bitcoins invariably list their products' prices in the national currency of the country in which they are based. As for a store of value, the speculators who've bought bitcoin in the hope of future gains certainly believe it has this feature, but for most people its volatility precludes it. Bitcoin's price in dollars soared 8,500 percent in the first eleven months of 2013, but then lost two-thirds of its value in the following six months. Who would put their life savings in that thing? But the more important question is whether cryptocurrencies can become money. That's where the insistence that money must be backed by something "real" must be put away. What matters is whether it has utility. Ultimately, does it enhance our ability to engage in exchange, commerce, and human interaction? By that score, bitcoin has something to offer: a remarkable capacity to facilitate low-cost, near-instant transfers of value anywhere in the world. We think this will eventually make this technology—if not bitcoin itself—widely sought after. Maybe then it will become money. You could say a currency is money when everyone agrees it is money. To achieve that rather difficult, tautological proof, bitcoin must attract believers. Its earliest adopters have employed strategies straight out of our monetary history. 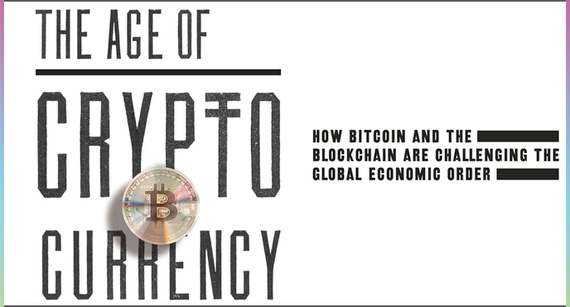 These range from choosing a symbol that resembles those of other currencies—most commonly shown as a B with dollarlike lines through it—to, as anthropologist Bill Maurer has noted, imbuing the digital currency with the myth of physical, tangible value by using the term mining to describe the work done to mint bitcoin. But the early adopters have a bigger challenge, and that's to build a much larger community of users around bitcoin. The community that has embraced bitcoin, initially consisting of as few as two people, has already grown substantially in numbers as well as in motivations for embracing it. If we apply the chartalists' view that money is a social phenomenon, then this ongoing community expansion represents nothing less than a currency's endeavoring to become money. MICHAEL J. CASEY writes for The Wall Street Journal, covering global finance in his "Horizons" column. He is a frequent contributor to the Journal's MoneyBeat blog and co-authors the daily "BitBeat" with Paul Vigna. Casey has written for such publications as Foreign Policy, The Washington Post, and The Financial Times. He is the author of two books: Che's Afterlife: The Legacy of an Image (Vintage, 2009), one of Michiko Kakutani's "best books of 2009," and The Unfair Trade: How Our Broken Financial System Destroys the Middle Class (Crown, 2012). PAUL VIGNA is a markets reporter for The Wall Street Journal, covering equities and the economy. He is a columnist and anchor for MoneyBeat. Previously a writer and editor of the MarketTalk column in DowJones Newswires, he has been a guest on the Fox Business Network, CNN, the BBC, and the John Batchelor radio show. He has been interviewed by Bitcoin magazine and appeared on the Bitcoins & Gravy podcast, and boasts a collective 20 years of journalism experience.